What are lift and drag? And how do they work? Explore how these two aerodynamic forces are created, and learn how engineers factor them in when designing all kinds of machines. In order for an object to fly in a stable manner, it needs to balance four forces: lift, drag, thrust, and weight. Weight, of course, comes from gravity pulling down on the object. Thrust is a force that pushes the object forward. It can be generated by a propeller, a rocket, a catapult--anything that makes the object move. But lift and drag can only arise as air moves past an object. Lift pushes the object upward, and drag, a type of air resistance, slows it down. What exactly causes these forces? 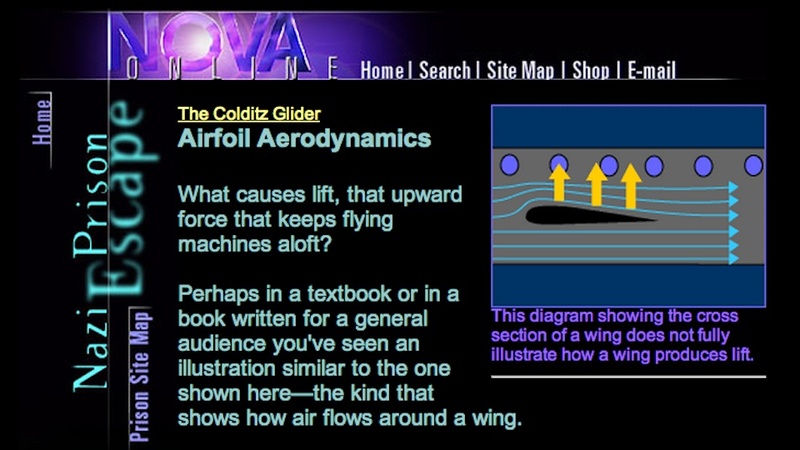 To find out, let's look at a cross section of an aircraft wing--a shape called an airfoil. At least two forces combine to cause lift--the Bernoulli Effect and Newton's Third Law of Motion. As an airfoil moves, its shape and angle force oncoming air to curve as it passes the airfoil's top side. Because of this curve, the air above the foil moves farther and faster than air flowing underneath. As the speed of air increases, its pressure drops. This is called the Bernoulli Effect, after Daniel Bernoulli, the Swiss mathematician who first described the phenomenon in fluids (and air is a kind of fluid). The curved airflow generates more pressure below the airfoil than above, and the airfoil is pushed upward. An airfoil also creates lift by "bending" or redirecting airflow. Oncoming air follows the curved shape of the foil, shifting downward as it moves past. This downward motion causes an opposing force that pushes the airfoil up. This is Newton's Third Law of Motion at work: Every action has an equal and opposite reaction. As an object moves through air, it encounters a form of resistance called drag. The amount of drag depends on an object's size and shape--a thick, boxy object will cause more drag than a thin, streamlined one. Drag is also influenced by other factors, one of which is the quality of the object's surface. A rough surface causes more drag than a smooth, polished one. The overall shape of an aircraft wing when seen from above--whether it's long or short, tapered or straight--can affect the amount of lift and drag it produces. But the design of the wing's cross section, or airfoil, is also a major factor. Compare four commonly used airfoils to see how their shape and angle affect the relationship between lift and drag. The concave lower surface of this airfoil helps produce extra lift, making it useful for planes like crop dusters, which often need to take off and land on short runways. But its thickness also causes a lot of drag as it plows through the air. That means planes using this wing shape are often limited to flying slowly, and they cover relatively short distances. The thin shape of this airfoil means that it generates very little drag, cutting through the air extremely efficiently. It doesn't provide much lift, however. To compensate, planes that make use of this airfoil shape must move through the air at high speeds in order to stay aloft. This characteristic makes the airfoil well-suited for fighter jets and other fast-moving aircraft. This airfoil provides a moderate amount of lift, but it doesn't cause too much drag either. That makes it a good general-purpose airfoil for flight that doesn't require high-speed performance. Its flat bottom also makes it relatively easy and inexpensive to build, which helps drive down production costs. For this reason, it's often found on small, light propeller planes. This airfoil is symmetrical, meaning the curve of the upper surface is the same as that of the lower surface. This results in little drag. But unlike the other shapes displayed here, it can't produce lift if its angle of attack is zero. This airfoil comes in handy for aerobatic planes, however. Because it's symmetrical, its orientation doesn't matter--as long as it maintains some angle of attack, it can create moderate lift when flying normally or upside down. This is the angle of an airfoil in relation to the oncoming air. If the airfoil is moving at a constant speed, a larger angle will generate more lift. As the angle increases, though, it also causes more drag. Angle the airfoil too high, and its ability to create lift is greatly reduced. This is called a "stall". Careful: If an airfoil's angle of attack is too high, the air flowing above and below it will separate into turbulent eddies. When this happens, the airfoil loses a lot of its lift, causing more drag in the process. This is called a "stall". In an aircraft, it can mean partial or total loss of control unless the pilot lowers the angle of attack. Engineers use lift-generating shapes called airfoils in wind turbines, race cars, and other machines. In this section, take a brief look at five different structures and vehicles that rely on airfoils to operate. The cross section of an airplane wing one of the most classic examples of an airfoil at work. Its characteristic shape helps generate lift efficiently as it moves through the air, keeping the plane aloft. 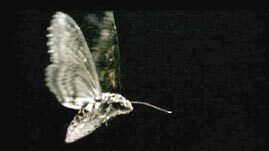 Without this type of shape in their wings, most airplanes would be unable to fly. The wing-like spoiler at the rear of a race car uses an airfoil shape--but instead of trying to lift the car up, it's doing exactly the opposite. Car designers attach the airfoil upside down in relation to the way it's normally used on aircraft, which causes a strong downward force as the vehicle moves forward. This gives the car's tires more traction and the driver better control when steering. The spinning blades above a helicopter are actually long, thin wings that make use of a classic airfoil shape. As they rotate, air moves over each one, causing lift. By increasing the angle of the blades, the pilot can increase the total amount of lift they create, pulling the helicopter vertically off the ground. These specialized boats have airfoil-shaped "wings" attached to their bellies. As they travel through the water, the foils produce lift just as they would in air, which raises the hull off the surface. This lets the vessel "fly" just above the waves, avoiding the drag that the water normally creates on its hull. With this configuration, the boat can cruise at much higher speeds than would otherwise be possible. The cross-section of a wind turbine blade is actually shaped like an airfoil. As wind blows past each blade, it generates enough lift to start the turbine spinning. The faster the wind blows, the more lift each blade produces, so the turbines spin faster. In some parts of the world, these turbines provide electricity for thousands of homes and businesses. All lift and drag data for these airfoils were generated using NASA's FoilSim III software, version 1.3. Data assume average cruise speed for each type of aircraft. Based on Newton's third law of motion, learn how an airplane stays aloft when upside down. Explore the engineering challenge of designing a robotic aerial vehicle that flies like a bug.